This is a simple effect with a very strong spectator reaction. 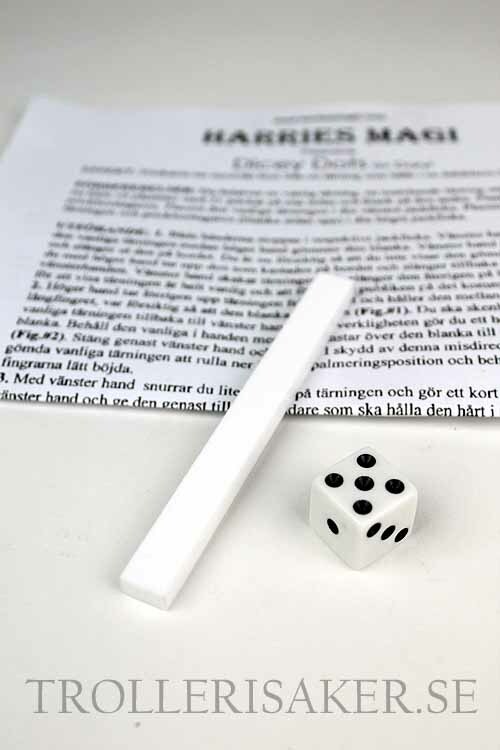 An ordinary die is shown and the spectator holds it in a tight fist. 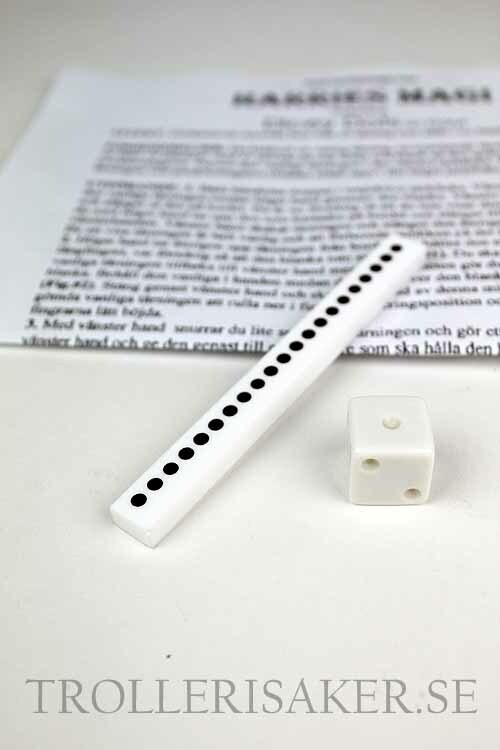 The 'magical spot remover' is shown to be a simple piece of white plastic that is blank on both sides. All of a sudden, twenty-one spots visually appear on the spot remover. The die in the spectator's hand is now "unspotted" (the indentations for the spots remain, but the faces are blank). 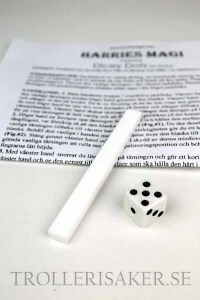 Komplett med tärningar och paddel samt svensk och engelsk instruktion.